Grown in France (Corsica and Provence), the kumquat is harvested in spring. It may also be imported from Israel. Low in calories (60 kilocalories per 100 grammes), kumquats are a good source of vitamin C, carotenes and flavonoids. The kumquat is also very rich in potassium and fibre. Fortunella margarita which produces oval yellow-orange fruit with acid flesh. 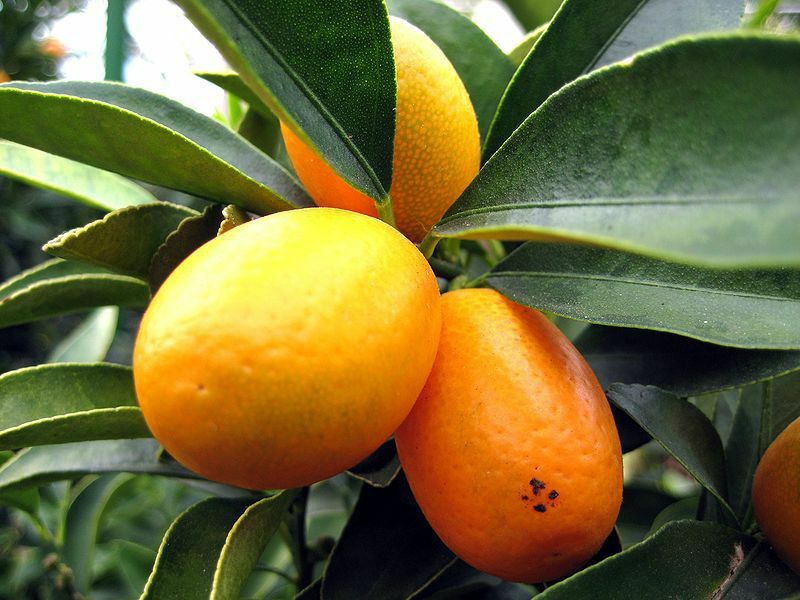 The smallest of all citrus fruit (from two to five centimetres), the kumquat has very large pips relative to its size. Its flesh and peel can be eaten. Kumquats can keep for six or seven days at room temperature depending on the ripeness, and up to three weeks in the vegetable crisper in the refrigerator.